Jenna Lord's first sixteen years were not exactly a fairy tale. Her father is a controlling psycho and her mother is a drunk. She used to count on her older brother—until he shipped off to Iraq. And then, of course, there was the time she almost died in a fire. Mitch Anderson is many things: A dedicated teacher and coach. A caring husband. A man with a certain...magnetism. 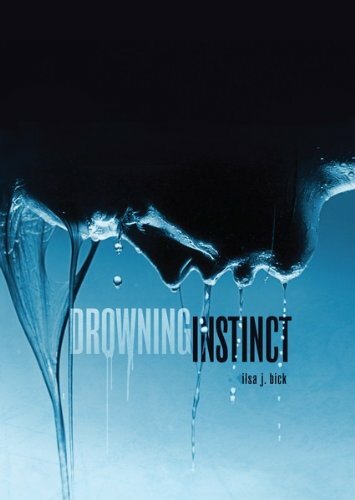 Drowning Instinct is a novel of pain, deception, desperation, and love against the odds—and the rules. LeahBookishObsession (Grade: C–) The cover and the narrator are the only recommendable aspects of this story, everything else is questionable, except maybe the ending. I found the ending to be almost perfect, everything except for how they got there in the first place. Overall, for me, the story has believability issues, so many aspects of the story just didn't sit well for me. I'm surprised I gave it a chance at all...because teacher/student romance isn't really my thing...especially when dealing with high school age kids.